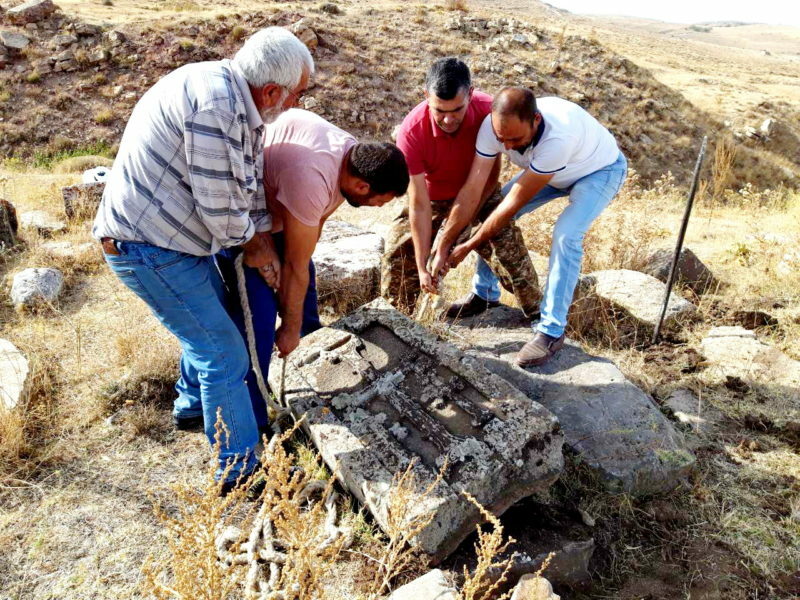 With the support of the employees of NCSO’s Ararat regional service, khachkars dating to 15-16th centuries situated in “Jnjrlu” village 6 km far from Lusashogh community were fortified. The head of Lusashogh community Narine Galstyan was also present at the process of fortification. 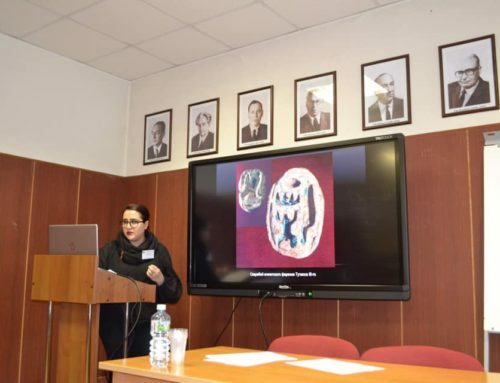 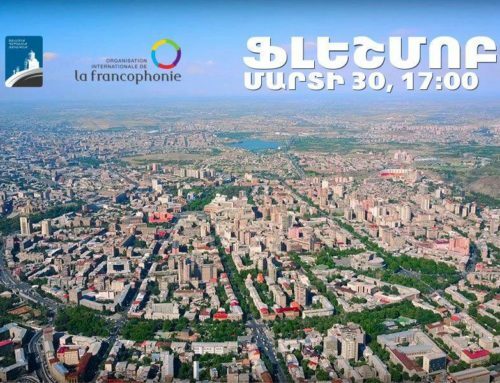 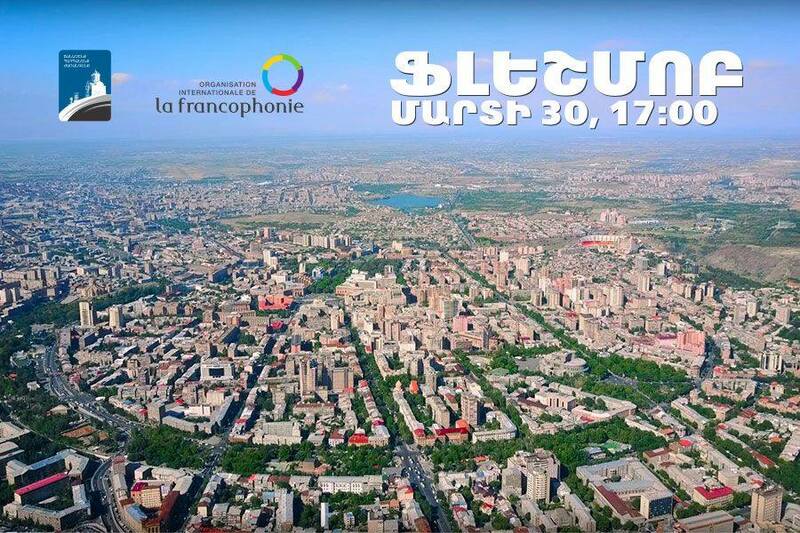 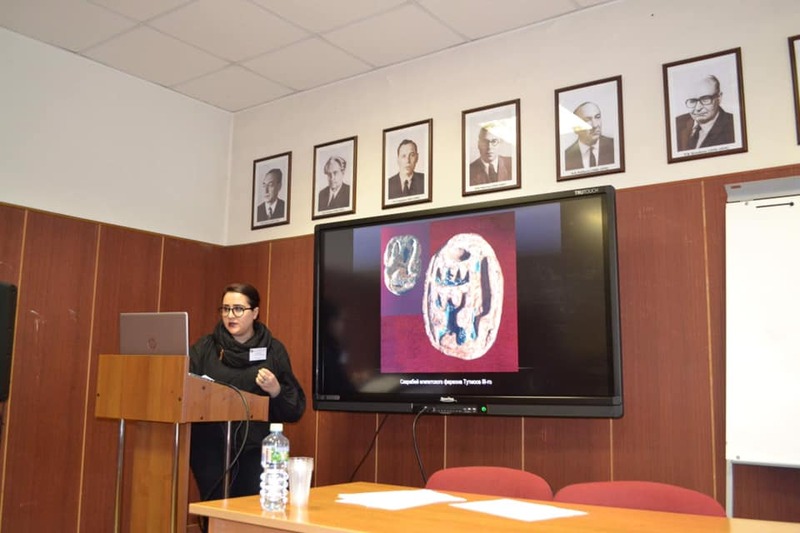 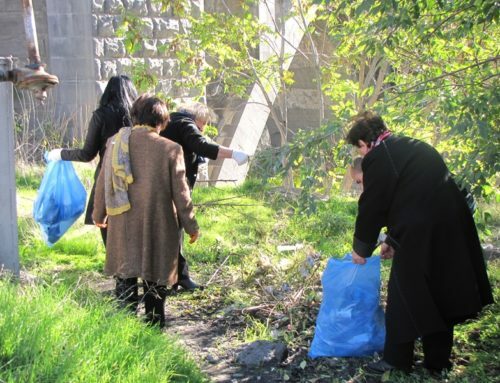 After the fortification the head of the regional service Anahit Dallakyan made a tour in the cemetery territory situated in the south-western part of the community, where 24 khachkars are registered. 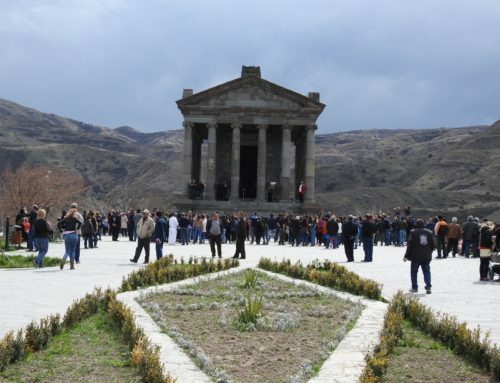 They came to consensus to erect the khachkars with united efforts. 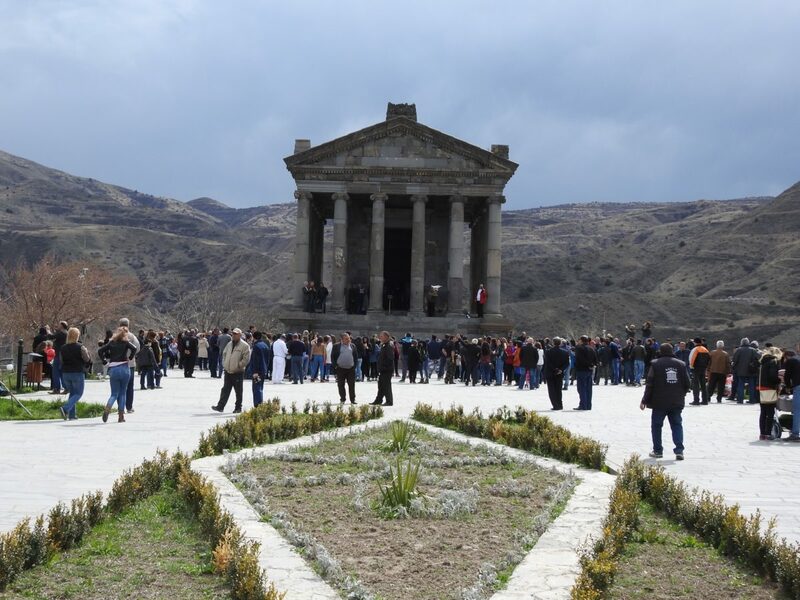 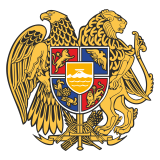 With the efforts of NCSO’s Ararat regional service and “Khosrov state forest” reserve the 8 khachkars registered in Gyolasor village’s cemetery were also erected and fortified. 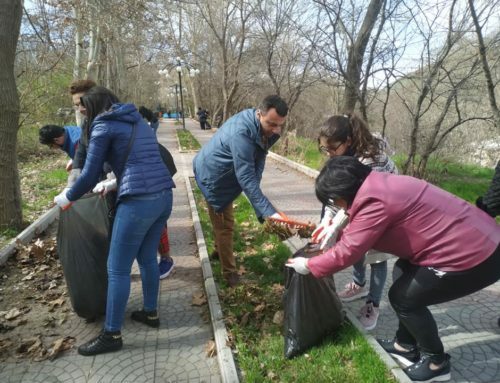 By the initiative of the employees of the regional service one more khachkar was fortified in Urtsadzor community’s “Gharabaghlar” village.